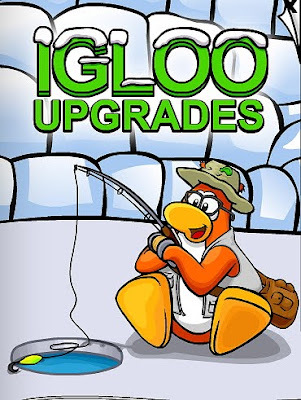 Club Penguin Cheats by Mimo777 Club Penguin Cheats by Mimo777: 2010 Club Penguin Cheats for February/March Furniture Catalog! 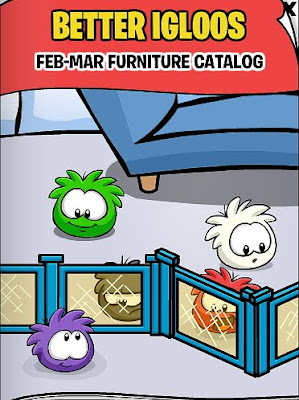 2010 Club Penguin Cheats for February/March Furniture Catalog! Step 5. Click on the mail box. 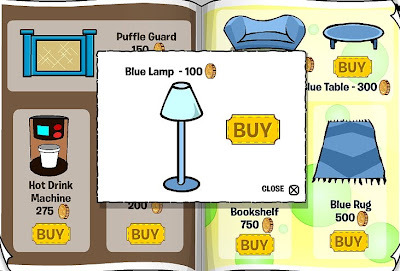 You now have the Blue Lamp! Step 7: Click on the Stone Couch. Step 9. Click on the Stone Lamp. Step 11. Click on the ski thingies. Step 12. Click on the 5th page of the catalog. Step 13. Click on the blue bird. Step 14. Stay on page 5 in the catalog. Step 15. Click on the bow on the Christmas Wreath. Step 16. Stay on page 5 in the catalog. Step 17. Click on the Star on the Christmas Tree. You have now found all the cheats in the February/March Furniture Catalog! Sweet! CHECK OUT THE NEW FLOORING! awww man i thought i saw that b4 u lol but u are way better than me. Will the puffle barrier actually block the puffle to going into another part? Its ok.Next time just post as fast as you can and you sure to get credit. Hey Guys, I need a sign off thing to say. So yeah, just tell me your ideas. Ill pick the best three I like, then we can vote! Thanks for your help. I apreciate it! idk GIG thats what i REALLY want to know!! is anyone knows the answer, PLEASE tell us!! Perhaps "Bumper, Bumping Back" If you're replying to a question? P.S. If you are famous make me too! Thnx Odl CPG Mod. Whenever I think of one is comes out bad. Im good at thinking about them for others, just not mself. LOL, I like your suggestion! Thnx! Im sure everyone wants to meet Mimo and have him be their buddy but, they cant. Mimo only adds high-ranking mods, personal friends, contest winners, and family. Try going to one of his partys! You can still meet him. Maybe he will send you a postcard! Hey Mimo, I think that Toysgoneby and Old CPG Mod should be in the top mods. I dont see really any of the top mods commenting alot. (Not to be mean)But they DO deserved it. Does the puffle guard actually work? cool! 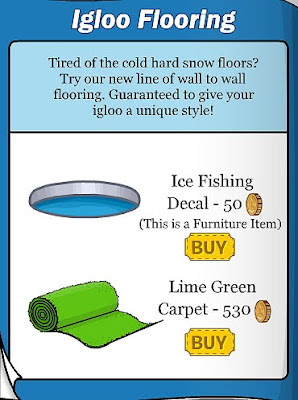 they really need to get rid of their Christmas/Winter Holiday stuff, because it's almost spring in the U.S.
hey you know you can also get a puffle tent in this igloo upgrade catalogue but i cant find how its hidden. Yeah, i noticed that too. They comment alot. I would like to comment as much as them, but i can't becuase my computers a peice of junk. Cool! Thanks for the updates, Mimo!